If you have a little one starting school or even day school, a good way to get them excited for their new adventure is by purchasing their own little backpack for them to carry. You will get your little one excited about school with one of these top-notch stylish backpacks and it’s their very own. Not only are these bags functional and kid friendly but we have a style to match your spunky child’s needs. Your child will love to show off their newest accessory to all of their new school friends. 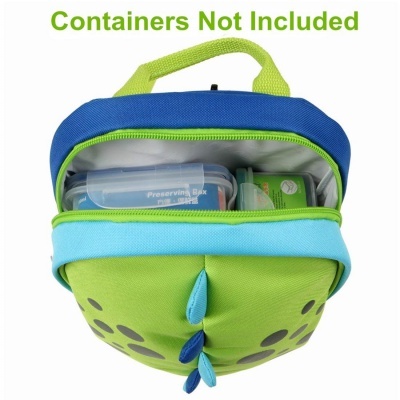 Some of the options on our list even provide insulated pouches where they’ll be able to store lunchboxes or extra snacks. With family-friendly companies, each company is sure to continue to make life a little easier for you and your darling little ones. Backpacks are something that are children an often using every day. It is important that they have the best backpack for their size and load. We have created this list to help parents find the right one for their child. The list has been updated with one new product, each product has updated criteria, and all items have been research to make sure they meet the criteria of the current marketplace. There are a total of 20 zoo animals in the Zoo Pack Little Kid and Toddler Backpack and Blossom Butterfly is just one of them. 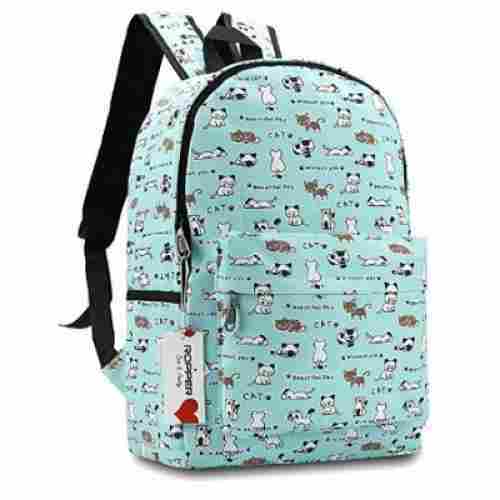 There’s also Marshal Monkey and Cheddar Cow as well as 17 other animal bag designs to collect, well that is if you would like to make this your kid’s own private collection. 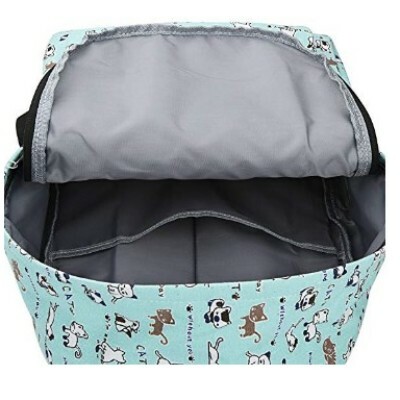 The Zoo Pack is designed in 20 different animal patterns all of which feature a very roomy central compartment which is great for storing baby’s essentials like change of clothes, diapers, bibs, face towels, and baby wet wipes. There’s a front compartment or pouch which is duly insulated to keep baby’s or your tot’s food staying fresh so when he or she is ready to feed, the food or drink is still in pristine condition. The Zoo Pack also features a mesh pocket which is fully adjustable to accommodate any size of bottle, be it the milk bottle of your baby or the fruit juice bottle of your toddler. The shoulder straps come fully padded so your little one will have no problems carrying it on his or her back. There’s also a nametag inside the bag which is easy to write on. At least, you can be sure that your Zoo Pack will be returned to you in case you lose it or misplace it. Like the rest in our list, the Zoo Pack is also made of BPA- and phthalate- free materials. The best bags combine a fun style with practicality and that’s why we love this bag. All the fun zoo animals are perfect for both boys and girls. And when the going gets tough, the straps are long enough for adults to wear throughout the day if necessary. The water bottle pocket fits the matching water bottle that is available for purchase as well. Fans of this bag love how long it lasts, even with toddlers. If you get to see a little child walking down the street with a big colorful and smiling butterfly behind his or her back, wouldn’t you be amazed, too? That’s exactly what the Zoo Pack brings. More importantly, there are 20 zoo animals to choose from. 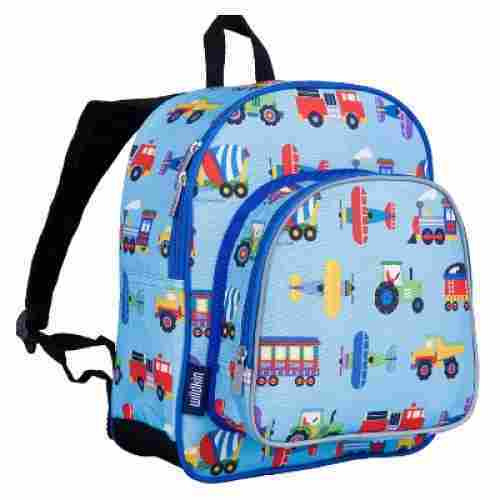 One of the cutest and most lovable backpacks we have seen which should be perfect for little kids like toddlers and preschoolers is the Olive Kids Trains, Planes, and Trucks Pack ‘n Snack. Actually, the Pack ‘n Snack has a variety of designs to choose from and not only limited to the traffic-crazed theme of the Trains, Planes, and Trucks. The Pack ‘n Snack remains true to the design inspiration of Wildkin which is the production of highly useful, safe, and fun gear for children of all ages. The Pack ‘n Snack has two main compartments: a central larger one perfect for bulkier and heavier things like notebooks and even tablets and a front compartment that is beautifully and ingeniously lined with a thermal insulation made of food-safe material. The front pocket is where the snacks go – your kid’s sandwich, fruits, and even whole meals placed in his or her favorite lunch box. It also comes with a side pocket for those bottles and even umbrellas your kid might want to bring along. The Pack ‘n Snack is made of highly durable materials and has been duly certified to be free from phthalates, lead, and BPA. This backpack is perfect for toddlers just starting their first days of school because of its simplicity. 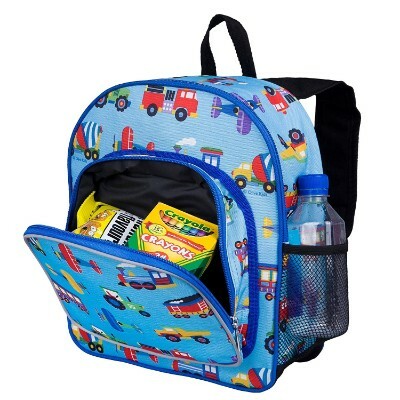 The design is super kid-friendly and will make them happy to have their own backpack, while the snack area helps them know where they can always find their lunch and snacks. With 16 designs to choose from, we are pretty sure you’ll have one fantastic design specifically for your kid. However, it’s the fully insulated front pocket that somehow captured our fancy. 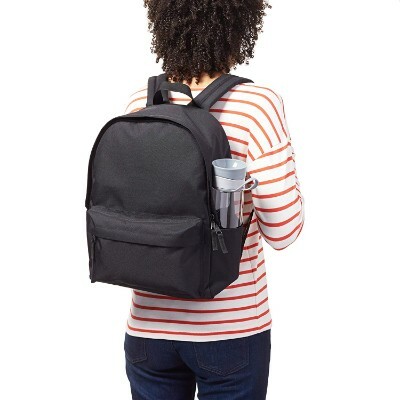 If you’re looking for a cool and inexpensive backpack for your preteen, then the Amazon Basics Classic Backpack is the answer. Just look at the Amazon Classic as a JanSport equivalent sans the logo of JanSport. It is available in 7 cool colors so you’ll get one for either your boy or your girl. 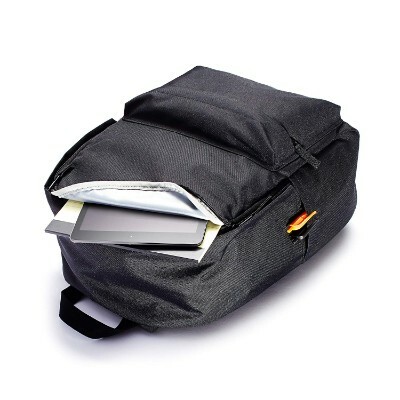 It has a capacity of 21 liters which is perfect for carrying your kid’s everyday things to school like books, notebooks, laptops, and other school items. Inside the main compartment is a secret zippered pocket with is perfect for storing your kid’s more valuable items. It also has a separate compartment for laptops, the walls of which have been duly padded for optimum protection of your kid’s electronic gadgets. The main compartment comes with a double zipper closure to allow for easier closing and opening. There’s also a front zippered compartment which is ideal for storing ballpens and other writing instruments as well as other smaller items. The sides of the Amazon Classic is designed with pocket compartments that can be easily closed with a Velcro system. The side pocket is large enough to contain a full-sized water bottle. The padded shoulder straps can be fully adjusted so your kid will not complain about sore back. With the enormous loads teens have to carry around these days, there’s no doubt they would love the padding on this pack. Not only are the straps wide and comfortable, the back features padding too. Not to mention the lining is spill resistant for rainy days or dropped coffee. 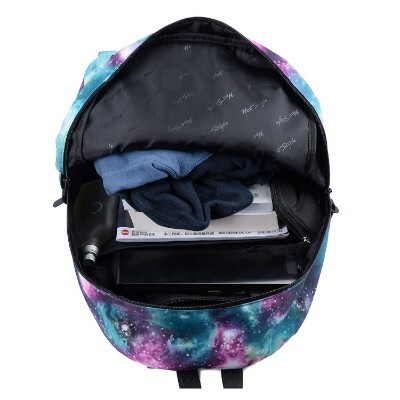 The main pocket contains an organizer for your notebook, laptop and all the other things that would normally get lost. If you love JanSport but is put off by the pricetag or even the large logo emblazoned in front, then the Amazon Classic is an excellent alternative. Actually, if you’d ask us we’d definitely recommend the Amazon Classic over the JanSport. You get two for the price of one and you get almost the same quality, functionality, and style. But, don’t take our word for it. It’s just us. 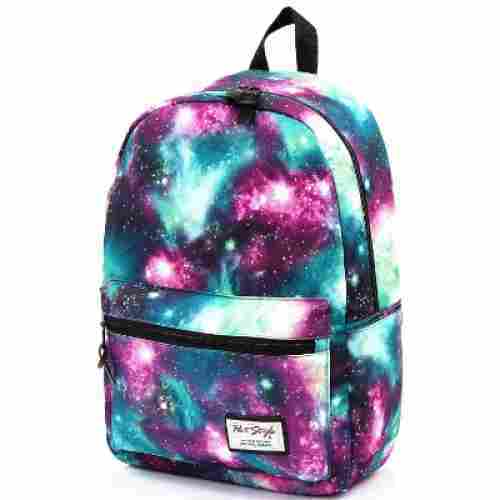 We’ve got your galaxy print, we’ve got your lego blocks, we’ve got your fast food, rubber duckies, patchwork, pineapple, video games, and floral themed backpacks, all right here. This TrendyMax 16” satchel can hold a 15.4” laptop safely along with plenty of other school supplies; so if you’re shopping for an older child who’s already knee-deep in technology, this is your best bet. Even if you don’t need to fit a whole computer processing system inside, this backpack is polyester, lightweight, durable, and spacious, making it a fine choice for children with all sorts of scholastic needs. 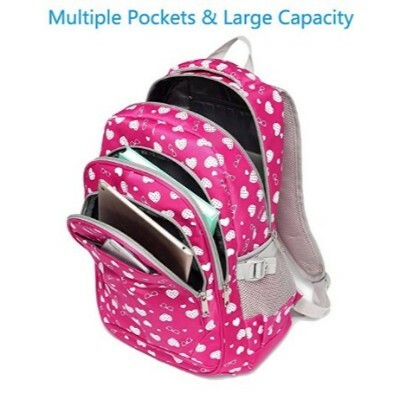 With a perfectly sized pocket for your kid’s phone and a special zippered section inside, as well as a partition on the interior and outer side pocket, this backpack is perfect for students with lots of different accessories and supplies to organize. There are so many styles to choose from; your kids are bound to find one they love. It’s also cushier and softer than competitive brands, making it more comfortable to wear for extended periods of time. Now this backpack is perfect for older kids. Anyone who’s in middle or high school will love this addition to their daily school routine, and we’d even say it could be used by college kids as well. 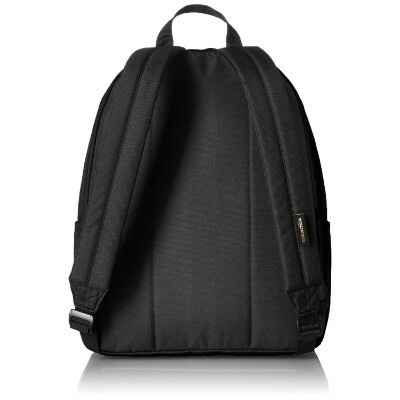 It’s a full-sized backpack with more storage than most of them out there and has a total of four zipper-close pockets as well as two size holders for pens, pencils, etc. Space will never be an issue with this backpack which makes it versatile, whether your child takes it to school or uses it on overnight trips. 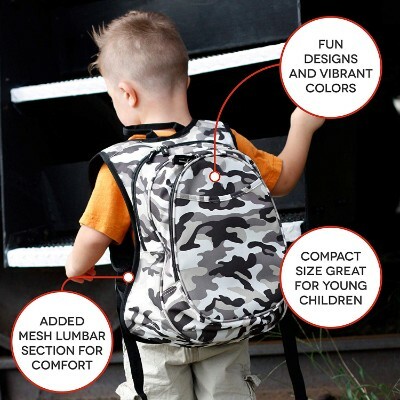 The straps are mesh and padded to increase comfort since this backpack can handle so much extra weight, and can be adjusted using the buckles at the bottom. The exterior is shiny satin-like material and comes in 22 different designs! A cool feature that we haven’t seen in other backpacks is laptop compartment -- It’s actually a “hidden” pouch in the interior of the main pocket, underneath yet another smaller pouch for small accessories. This backpack truly has it all. 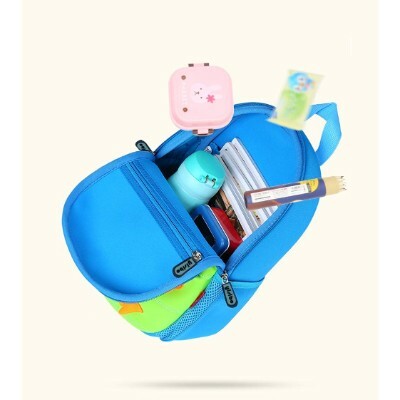 If your child is notorious for carrying a lot of things or just really loves reading books or bring their tablet/laptop everywhere, this backpack is perfect. It offers more storage space than most have all while finding a special place for your child’s most valuable items. This backpack is a great way for little kids to feel a little more adult and responsible for the things they need to carry with them. All of the pockets will give them a sense of freedom over where they store things and will quickly turn this into a backpack they love to wear. Just like the robot it represents, this ArcEnCiel bag is craftily engineered to be as useful and purposeful as possible. A thick mesh design protects children’s backs, while elastic functions help lessen the weight-bearing aspect of backpacks, and provide breathability for the user. 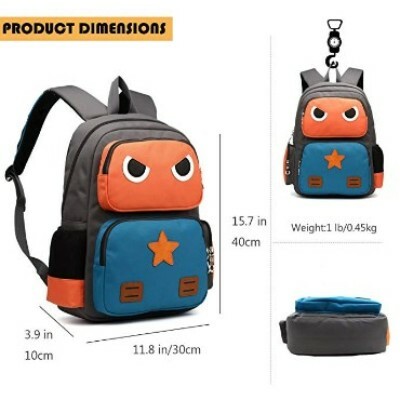 The bag itself features three internal pockets to help organize your bountiful school supplies, and a quirky, stylized robot design on the front. The side pocket will fit a water bottle, and the front pocket is insulated and capable of keeping children’s snacks or lunches until it’s time to eat. 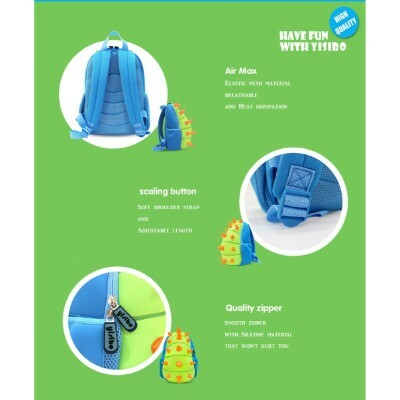 The backpack is constructed of lightweight polyester, and best suited to children ages five to ten years old. This unique design will have toddlers and young children squealing with delight. The comfortable design elements mean they’re less likely to be taking it on and off a million times, and more capable of responsibly handling their items to and from school. The robot design is adorable, and the insulated front pocket is a great addition. If your child doesn’t need a full lunchbox, give them one less thing to worry about and pack their food in the backpack’s front pouch. The backpack offers a great option for kids who are ready for their very own big-kid backpack, whether they’re starting middle school or finishing up elementary school. It’s lightweight so they won’t be exposed to anything too heavy or bulky, and the pattern on it is cute and understated. 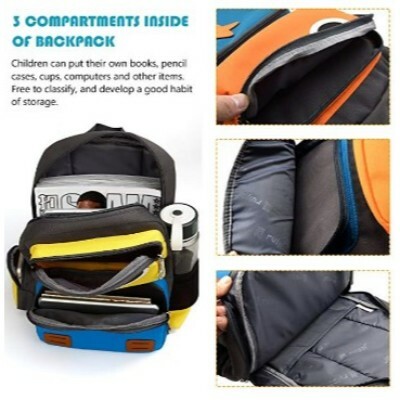 Inside, your kids will have ample storage space to hold all of their textbooks, notebooks, and even some extra little accessories if they make use of the front pockets. The straps are padded and adjustable so they’ll always find carrying around their books to be a comfortable experience if they don’t yet have access to lockers. For even more storage, this backpack features side pockets that are perfect for carrying around pens, pencils, and any other fun art supplies your child might need. This backpack is not just cute, it’s functional too. 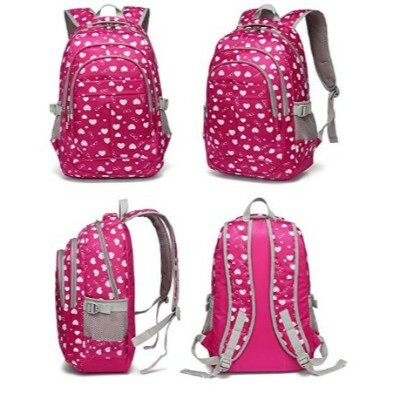 The cute designs appeal to teens while the quality and extra pockets make mom happy too. 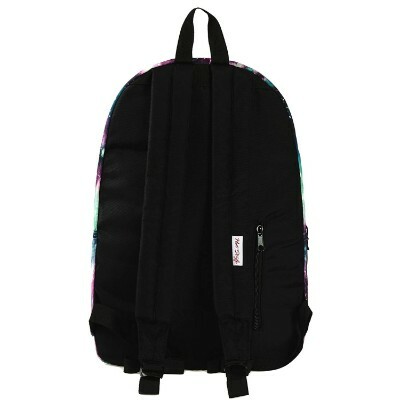 No need to worry about having enough space, this bag will hold any school supplies and keep them organized as well. It is lightweight with adjustable padded straps that make it comfortable for growing kids. Also, there are many designs to find the perfect style you’re looking for. The lightweight canvas backpack has many interesting designs that are not found in similar backpacks. Plus, the use of canvas instead of the usual polyester is something quite intriguing. 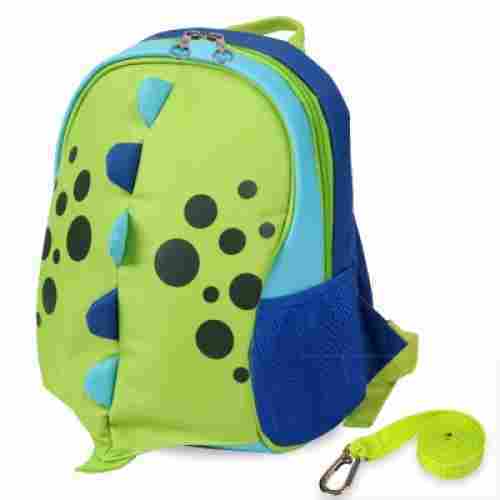 The Yodo Kids Insulated Toddler Backpack comes in 4 different animal color designs: navy shark, blue cow, brown dog, and green dinosaur. The Yodo is a 3-in-1 gadget specifically design for toddlers and preschoolers. It can serve as a fully functional toddler backpack, a beautiful lunch bag, and a secure safety harness. The Yodo also comes in vivid zoo animal faces adding an extra element of fun to the bag. It also comes with a 50-inch fully detachable tether so traveling will be more secure for the rest of the family. Once your kid has already grown up, he or she can just use the Yodo as a normal lunch bag. The inner lining is made of FDA-approved materials that keeps foods and beverages cold for a few hours. The Yodo is also very easy to clean. With all the safety features in mind, this is one of our favorite bags specifically for traveling and short day trips. The harness is the perfect length to keep your little ones safe during any adventures and keeping peace of mind. Plus, the entire pack is insulated to store any type of snacks. The insulated, washable layer can even be rinsed out and is stain-resistant. On the other hand, the storage capacity on the inside is minimal due to this insulation. Therefore, not a lot of school supplies can be stored. The idea of a toddler backpack that will grow with your child surely appeals to many parents. Plus, the versatility of the Yodo is simply spectacular. 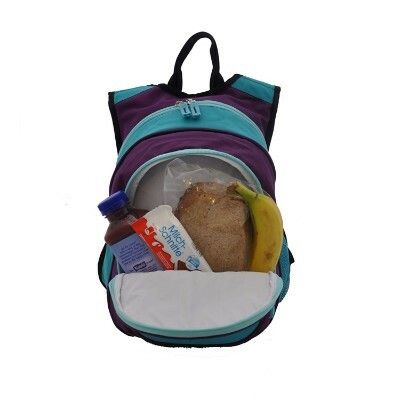 Ditch the lunch pail; give your child exactly one bag to be toting to and from school. 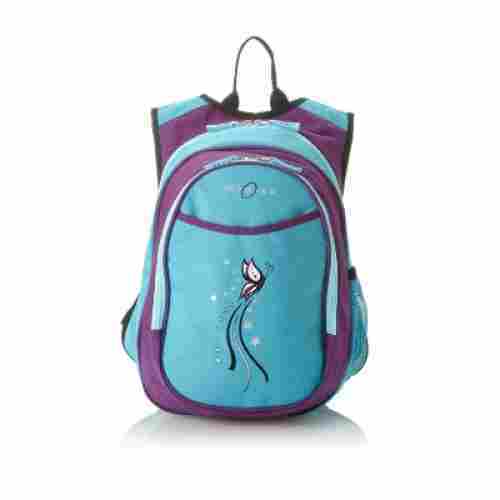 This backpack features a large, fully-insulated front pouch for you to store your child’s snacks or lunch in. Padded mesh shoulder straps and a lumbar support section make this extremely comfortable. Two zippered compartments help divide your children’s belongings, with the larger compartment being big enough to easily fit a standard sized folder or notebook and some additional supplies. This backpack is mostly aimed at Pre-K kids, so if you’re shopping for your first backpack, or sending them back for another year with all their friends, Obersee had your family in mind when designing this particular bag. Interior organizational pockets make this a good option for early learners who don’t have too many supplies yet, but are learning how to stay tidy and organized with what they do have. It’s small and can function as a lunchbox as well, giving them (and you) one less item to worry about. The front pouch is not only insulated; it’s roomy. You can pack more than a quick snack in here and it will stay chilled. The bag is small, but fits young children well and keeps their hands pretty free with all its different compartments and functions. 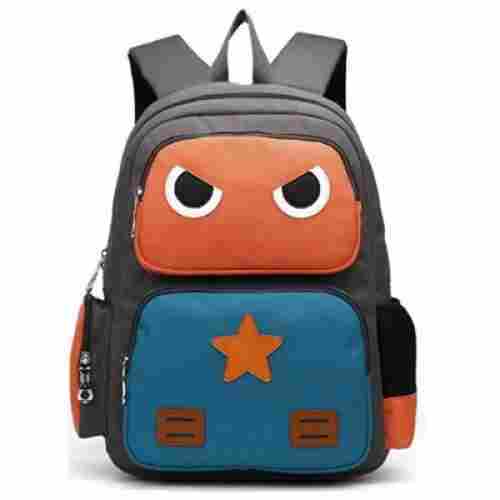 The YISIBO 3D Cartoon backpack isn’t completely practical for kids who need to carry around a lot of books and need extra pockets for storage, but it is great for kids who are in preschool or going into elementary school. 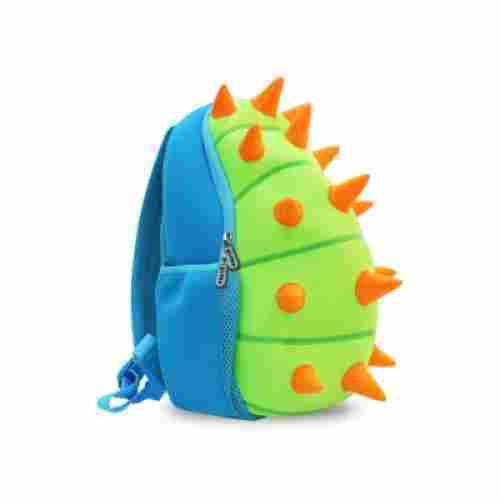 The major quality this backpack has to offer is its design and all of the various themes your child can choose; they’ll have access to all kinds of animals and fun monsters, all with vividly bright colors and detail. This is the kind of backpack that will make your kids actually want to go to school! It’s small enough to be lightweight and the straps are padded, making it comfortable as well. There’s ample space for the few things toddlers will need while they’re in school or on trips, which makes it a great asset to travel as well. 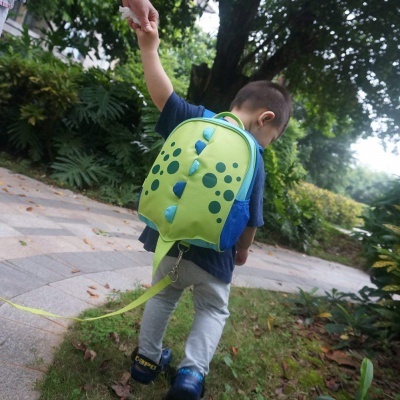 This backpack comes with the option to attach a safety leash, which not only helps parents to keep track of where their children are but offers extra reassurance to the kids wearing it. 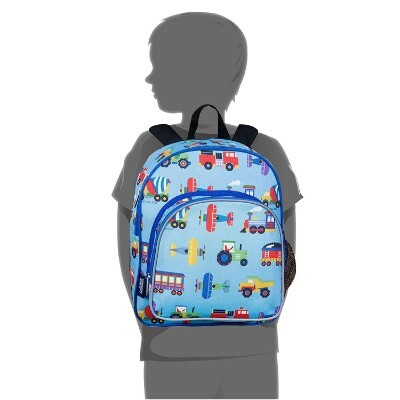 As they get older and this option is no longer necessary, it can be removed and they’ll be free to wear this backpack to school, a friend’s house, or on trips. 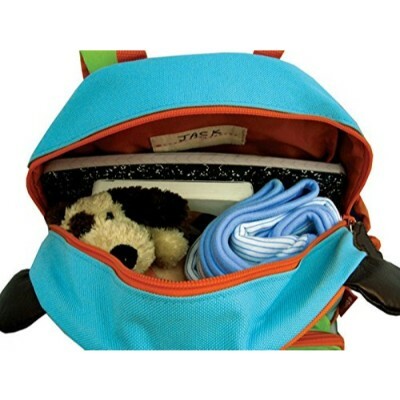 This is a great starter backpack and will give kids a feel for being responsible for their own items. The themes offered are great and the perfect way to introduce toddlers to wearing a backpack! 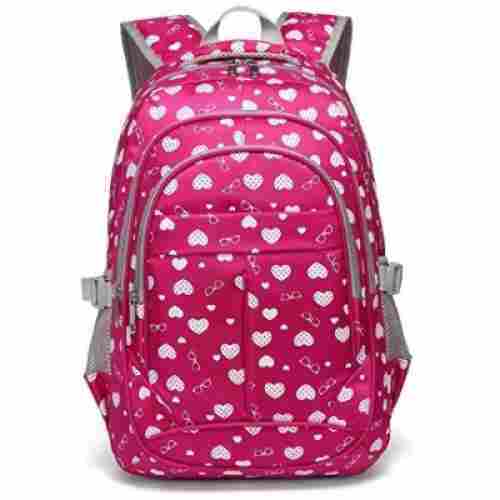 The right backpack for your child is so important for them to have especially for their overall physical health. Doctors and chiropractors stress the need for a structurally sound and well-made bag for your children to carry. As your children grow older, not only will their backpacks grow but the back to school shopping lists will as well. Having a well-made, proportional bag can help the added weight evenly and make it so it’s not only easy but also 100% safe for your child to use. When it comes to purchasing the right bag comes teaching your child how to fill these bags and lift them properly which in the end will help your child from injury and any long-term back pain. When it comes to the weight of the backpack, your child's bag should not hold anymore then 10 percent of your child’s current weight. That means that if your child weighs 70 pounds, the bag should not be heavier than 7 pounds. Most laptops range from 2 to 6 pounds and a textbook weight roughly 5 pounds. This number is to prevent damage to your child’s back and shoulders. They should be made of lighter materials as well so that they aren’t heavy before filling them up with supplies. Canvas made or similar options are much better materials to look for than things like leather. 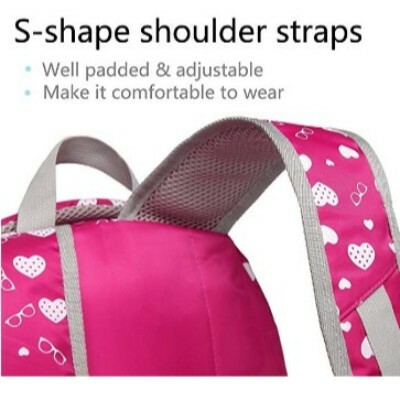 Your child’s bag also will need to fit your child well enough so that they’re comfortable. You can’t purchase a large bag for a growing child because they wouldn’t be overloaded until they grow. It is much safer for parents to purchase the correct size and just know you need to replace it. This is the same kind of logic that works for shoes, you wouldn’t put larger shoes on a toddle and wait for them to grow into them. You’d end up simply throwing them in storage until they’re forgotten and too small and buy the ones that fit. Parents should also try and avoid careless stitching and seams. Things that are frayed and also falling apart will just end up getting worse. It pays to get the quality not only for your wallet but also for a peace of mind. The cheaper backpacks won’t last very long and will cost you in the long run. Your kind and your wallet will be happy if you put down more up front and get a ton more use. Parents should also make sure that their children are wearing both their shoulder straps when they’re wearing their backpack. Constantly bearing weight all on one shoulder puts unnecessary strain on the spine and can sometimes cause long-term damage. Buckles and other features can help distribute the weight of the bag evenly and help take the strain off other parts of the body as well. It is important to make sure that the backpack your child is wearing is lightweight and is not putting a load on their back and shoulders. If the backpack is too heavy it can cause pain and lead to an injury. Making sure the straps of the backpack offer padding. When the straps offer padding it helps ensure that they will not become too tight. When we came up with our list of the ten most amazing stylish backpacks for children, we knew that it would be a tedious task. After all, we weren’t simply looking for a replacement – we were looking for the types of bags that your children will adore even as they grow older. The first thing that we took into consideration was the construction or the overall integrity of the design of the bag. 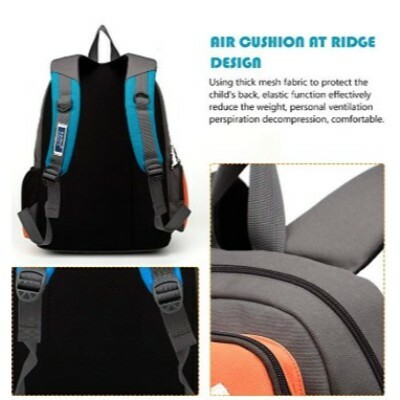 Unfortunately, we can only rely on certain parameters that will help determine the quality workmanship of a backpack. For starters, it would be virtually impossible to physically subject each bag to rigorous testing of its strength and durability because there are clearly thousands of them in today’s market. Overall, we had to rely on some forms of quality indicators like the reputation of a company. A trustworthy backpack manufacturer, we believe, won’t sacrifice the integrity of their brand image by producing bags that are of mediocre quality. Clearly, they don’t want to throw away what they have worked for all these years just by producing a backpack of the highest quality. Secondly, we had to confirm this by comparing these results with consumer reviews and their feedbacks whether they were positive or negative. At the very least, our assumptions of quality workmanship must be completely satisfied as it would if we were purchasing the bag for our own children. Next, we then looked at the functionality of the bag. Sure, it may look cute but if it cannot serve its fundamental purpose, then it will only serve as an accessory which a backpack is clearly not meant to be. Thus, we looked at how the manufacturer considered fulfilling the basic function of a bag. If it comes with a variety of pockets, are they useful? If these bags have a certain unique lock mechanism, then we’d make sure that it’s easy to operate and that it really serves its purpose. We also considered the comfort that the backpack can provide to kids. 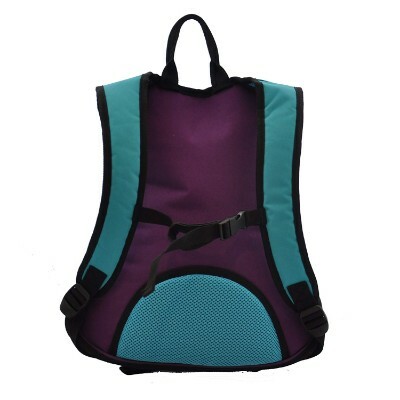 The shoulder straps as well as carrying handles must be designed in such a way that they do not put a strain on the part of the body that will be bearing most of the weight. This is also related to the convenience of using the backpack. If it comes with a lot of features that only get in the way of optimally using the bag, then these features are mere nuisances and serve no meaningful purpose. Lastly, we also looked at the style. Kids love film and TV characters as well as brightly colored designs. Of course, there are also those who like it plain and simple. Nevertheless, this did not prevent us from looking at the designs of these bags and enlisting the help of parents through their feedbacks to help us get an idea of the general perception of kids. At least we can say that we have the backing of parents in the making of our top 10 amazing backpacks for kids. 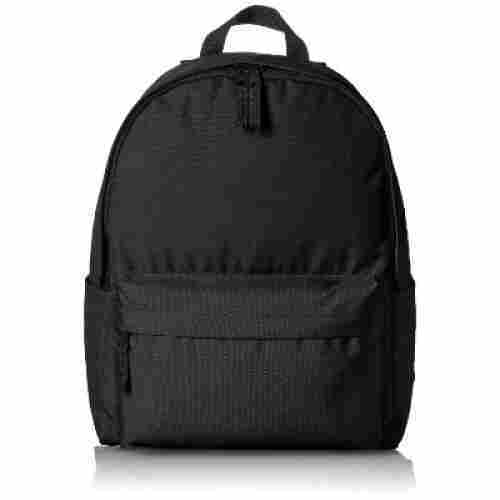 We have already shared with you how we chose the backpacks in our list. But if you would like to explore backpacks on your own, you might be interested in the following tips. Understand your child’s developmental needs. Younger children require more fun learning features while older children will typically require versatility and functionality. Make sure to check the product label of the backpack you’re buying. It must be made of kid-safe materials and should not contain BPA, PVC, lead, phthalate, and formaldehyde as well as other harmful chemicals. Look for features that will provide optimum comfort for your child. Padded straps are a must. However, equally important is padded back support as the weight of the bag can inadvertently push against the back of your child. If the backpack comes with a variety of features, try to study each of these carefully. Determine how your child will benefit from these features. If there are no obvious benefits or the benefits are only minimal, try to look for another one. q: Can the Olive Kids Trains, Planes and Trucks Pack n’ Snack Backpack fit a standard-sized folder? Unfortunately, it can not. This bag has the right height to fit a folder but the rounded corners would force it to bend. This size is best for toddlers and younger preschoolers. It does fit a composition book, coloring books and all sorts of other things you may need. q: What are the differences between zippers? Ideally, both the pull tab and the teeth of the zipper should be made from metal or high quality, BPA-free plastic. This is to ensure that it doesn’t break or wear down. Flaps that cover the zipper also prevent different weather elements from getting into the bag through the zipper. You should consider these things when determining what bag is best for your individual needs. q: Why is the Coolwoo Kid Backpack made from neoprene? The neoprene is commonly found in diving wetsuits. It is breathable and durable making it incredibly comfortable and nice for children. This also makes it water resistant and stain resistant making the neoprene an exceptional option for messy toddlers and fickle weather. q: How do you recommend washing backpacks that aren’t machine washable? Some bags have materials that need to be washed gently. If not, you could ruin the foam padding and the prints. We recommend looking at each product and see what the manufacturer recommends. Hand washing and line drying can be an option or maybe even dry cleaning. Thankfully a lot of the backpacks we mention can be more easily washed or contain material that is stain resistant. q: Why is it important for the backpacks to have padding? 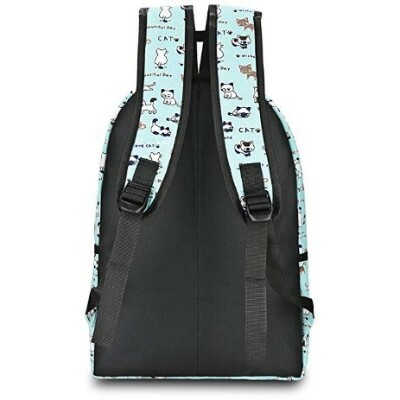 Padding throughout the straps and the back panels add to the overall comfort of the bag. Having adjustable straps also makes it easier for your child to pack around whatever school supplies they need without the strain of thin, tight straps. q: Can I get my backpack monogrammed? We actually don’t recommend getting your kid’s name monogrammed. This is because of the safety issue of putting your kids name is such a public place. Children are much more likely to trust a stranger who knows their name. Putting their name on the inside label is cheaper and easier. Your kid and their teachers can still figure out everyone’s bag without announcing it to every car that drives by.